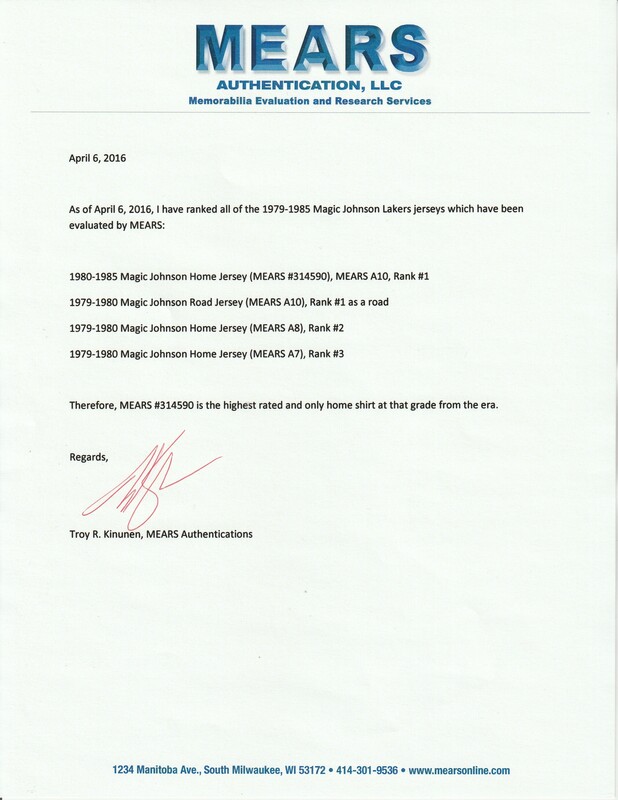 From his entry into the NBA in 1979, Earvin “Magic” Johnson began the era of “Showtime” in Los Angeles. 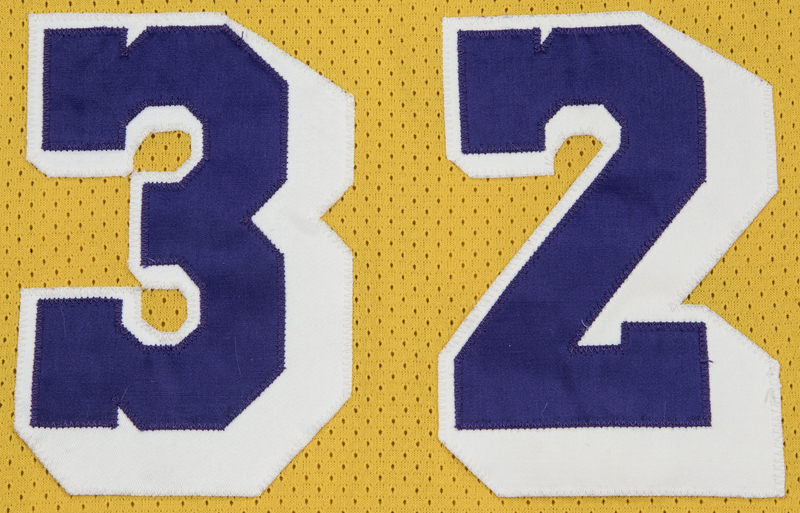 The uniquely-sized 6’9” point guard from Michigan State immediately paid dividends for the Lakers as he helped lead Los Angeles to the 1980 NBA title. Following the 1980 title, Magic and the Lakers would make four NBA Finals appearances in five seasons, winning it all in 1982 and 1985 and capturing his second Finals MVP in 1982. 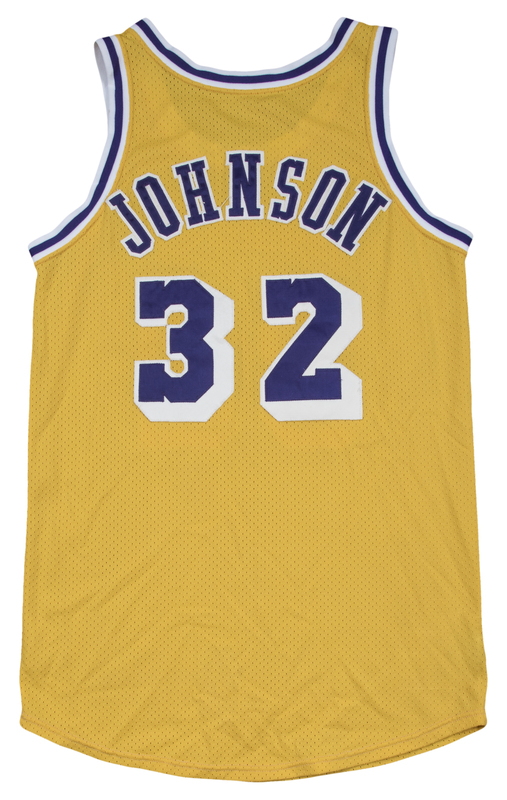 Magic Johnson game used jerseys from his early days are hard to find, especially the home yellow jerseys. 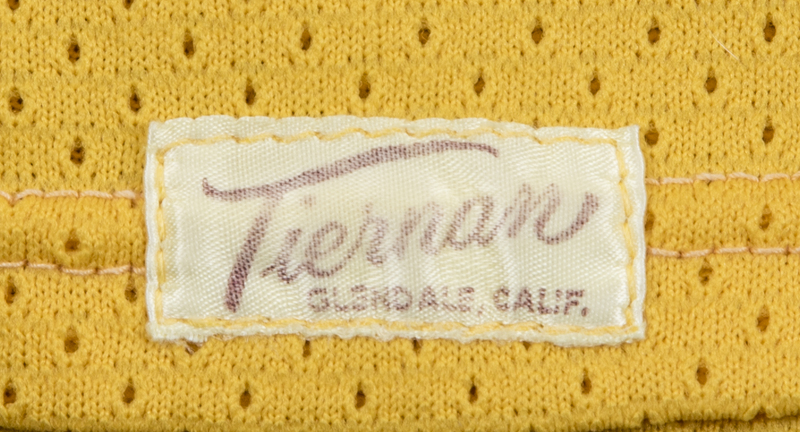 To date, only a handful of home Magic Lakers jerseys have ever hit the market and have been graded as high as the jersey being offered here. 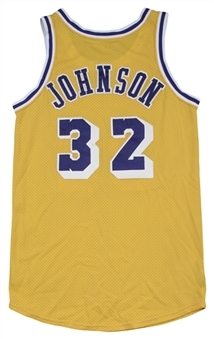 This yellow mesh Los Angeles Lakers home jersey was worn by Magic during the period of 1980-1985. 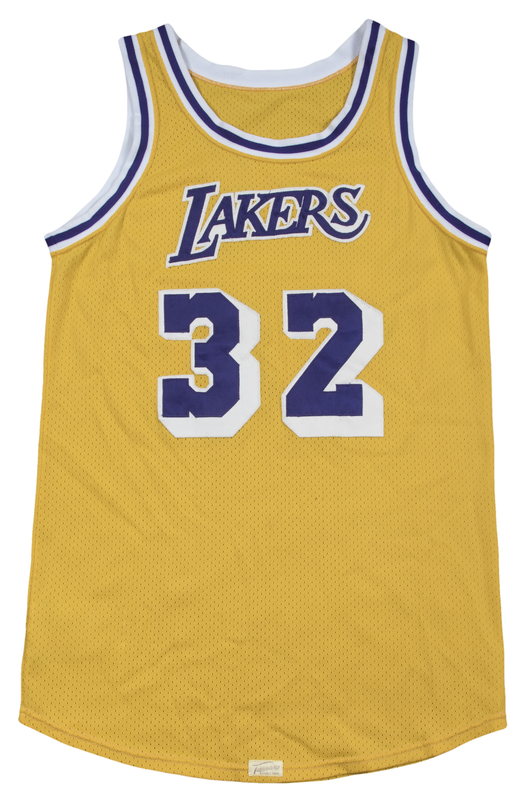 This jersey has “LAKERS” sewn on the upper chest in purple and white tackle twill with Magic’s number “32” sewn on below in purple and white shadow tackle twill. The neck and sleeve openings have white/purple/white band. The back of the jersey has “JOHNSON” sewn on in purple and white tackle twill with his number “32” sewn on in the same color pattern.